This one of a kind cowl is crocheted in a bulky wool and has a split seam that can be worn on the side as pictured below, or in the back. 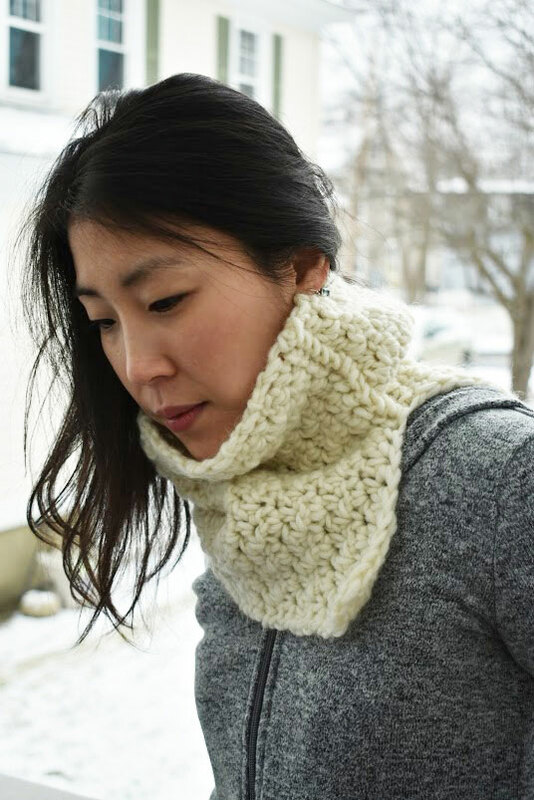 With this chunky cowl you'll surely have a warm neck, so bring it on and Let It Snow! Made in a smoke-free, cat-friendly house. If you will need to launder this cowl, please hand-wash gently in cool water and lay flat to dry. $25.00 with free shipping in US only. No international shipping.